Sources in the Israeli ministry later said it was strict about granting licenses according to the law, and that they could not discuss the existence of NSO’s license, for security reasons. The development came on the heels of a report published, by Haaretz daily newspaper, stating that NSO representatives offered Pegasus 3 technology to high-profile Saudi officials back in 2017. The report, citing a complaint filed with Israeli police, by an unnamed European businessman, noted that the Saudi officials included former intelligence chief Prince Turki al-Faisal and Nasser al-Qahtani, who presented himself as the deputy of the current intelligence chief. The businessman insists that the Pegasus 3 affair began when he was contacted by an Israeli man dealing in cyber-defense technologies and identified only as W., who asked him to use his connections in the Persian Gulf states to help do business in the region. During a series of meetings, Saudi officials presented a list of software they sought to obtain to hack into the phones of pro-democracy campaigners, Muslim ministers and intellectuals, in Saudi Arabia and elsewhere. In the summer of 2017, W. negotiated a deal to sell NSO’s Pegasus 3 system to the Saudis for $55 million. Despite an oral agreement with W., the European businessman says that he started ignoring his phone calls when he asked for his 5-percent commission ($2.75 million). The businessman filed the complaint in April of this year and has since been interrogated by the Israeli police’s fraud department and contacted by income tax authorities. Earlier this month, former US National Security Agency contractor and whistle-blower Edward Snowden said that Saudi Arabia may have used software made by an Israeli cyber firm to track prominent dissident journalist Jamal Khashoggi, who was killed after visiting the kingdom’s consulate in Turkey’s largest city of Istanbul, in early October. Addressing a conference in Tel Aviv via a video call from Russia, Snowden said Pegasus spyware was used to track opponents. “The Saudis, of course, knew that Khashoggi was going to go to the consulate, as he got an appointment. But how did they know his intention and plans?” he pointed out. Snowden went on to say that the smartphone of one of Khashoggi’s friends, who was living in exile in Canada, had been infected with Pegasus spyware. He said that the software allowed the Saudis to collect information about Khashoggi. Khashoggi was killed on October 2, after entering the Saudi consulate in Istanbul. A senior Turkish official told The Washington Post, on November 2, that the slain journalist’s body was destroyed in acid either on the grounds of the Saudi consulate or at the nearby residence of the Saudi consul general. The official, speaking on the condition of anonymity, said that biological evidence discovered in the diplomatic mission garden supports the theory that Khashoggi’s body was disposed of close to where he was killed and dismembered. Hatice Cengiz, the journalist’s fiancée, has accused Saudi officials of a massive cover-up. The report documents the grave and broad Israeli attacks witnessed during the marches in the first six months (between March 30, 2018 and September 30, 2018), committed against media freedoms. These attacks reflect the adoption, by the Israeli occupation, of an official policy based on excluding and impeding the media from covering the events and preventing journalists from transmitting an accurate picture in various ways. Such ways have even included murder, as the report indicates, according to the PNN, demonstrating the statement of former Israeli Defense Minister Avigdor Lieberman, in commenting on the killing of the journalist Yasser Murtaja, by the Israeli Army, which reflect the explicit call to target journalists with murder. As Lieberman, in this regard, has stated to the Israeli newspaper Haaretz, on 8 April 2018, “I do not know who he is (referring to the journalist, Murtaja), whether he was a photographer or not. Whoever turns on a drone (a small aircraft for aerial photography) above the Israeli army forces should know that he is risking his life” even though Murtaja was 300 meters away from the separating fence where the soldiers were deployed. 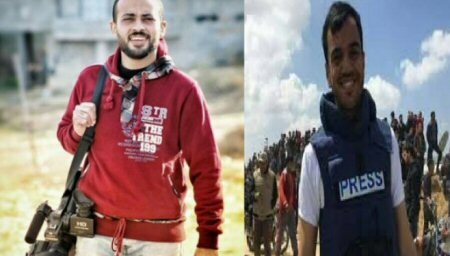 During the six months covered by the report, the killing of two journalists, Yasser Murtaja and Ahmad Abu Hussein, by explosive bullets fired by the occupation soldiers while the men were covering the events of the return marches, during April, is documented in the report. This is in addition to the injury of 46 male and female journalists, by live and explosive bullets, resulting in serious injuries, and impeding the journalists, for reasonable periods, from covering the events or fulfilling their journalistic duties, even though all of them were wearing visible “Press” signs. Furthermore, most of these men and women were injured while standing between 300-350 meters away from the separating fence. Human Rights Watch called on bocking.com to follow the steps of RBNP and withdraw from Israeli settlements in the occupied West Bank. Human Rights Watch, based in the United States, issued its report, “Bed and Breakfast on Stolen Land,” co-published by Israeli NGO Kerem Navot, and called on Boeing.com to do so, as well. 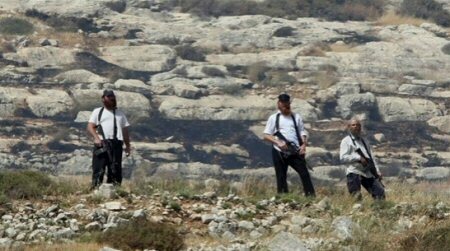 The report said that the RPNB listing included at least 139 properties in West Bank settlements between March and July. Based in the Netherlands, RPNB had listed 26 properties in those settlements as of July, according to the report. OCHA also confirmed that 20 Palestinian-owned structures were demolished or seized in East Jerusalem and Area C, which make up more than 60% of the area of the West Bank, on the grounds of a lack of Israeli-issued building permits, displacing 20 individuals. Four of the targeted structures, located in three Area C communities, had been provided as humanitarian assistance in response to previous demolitions.